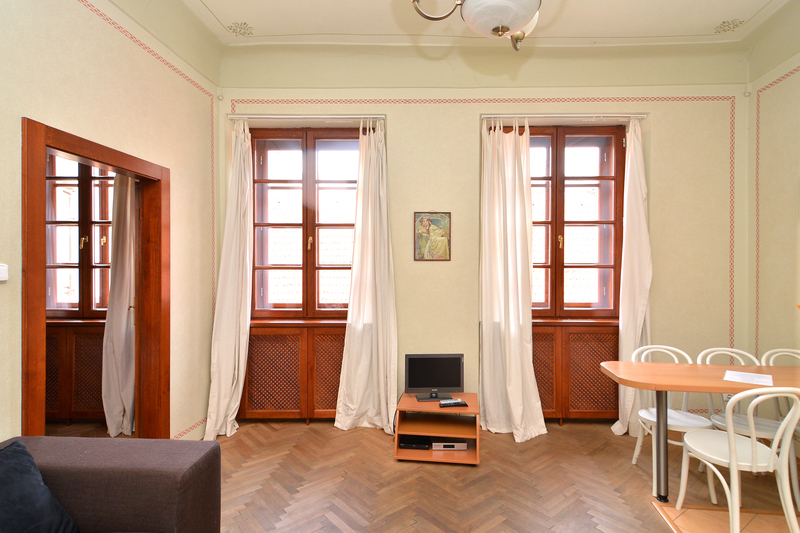 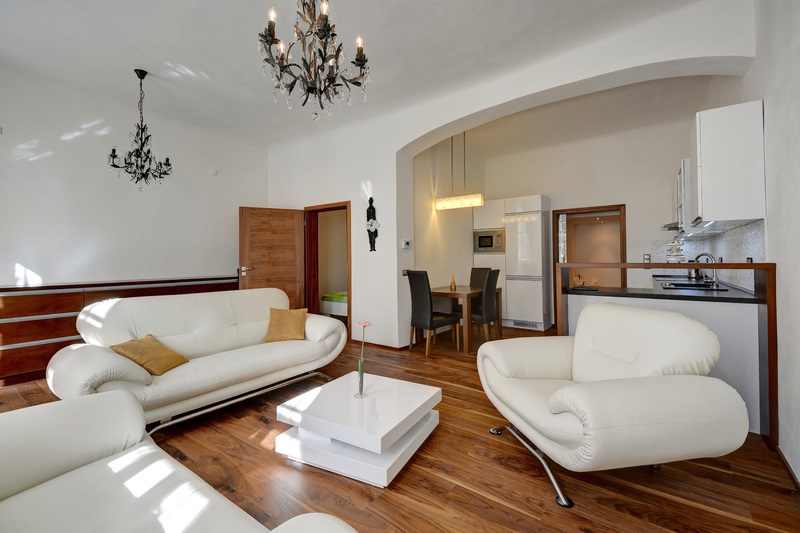 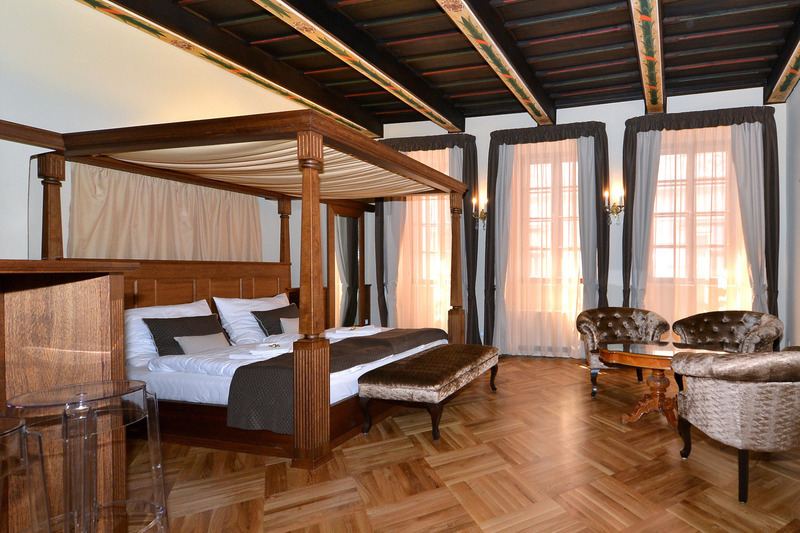 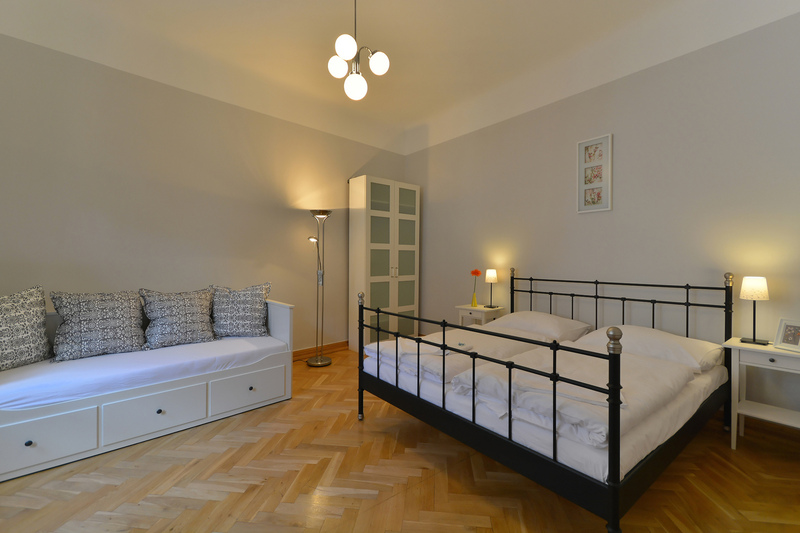 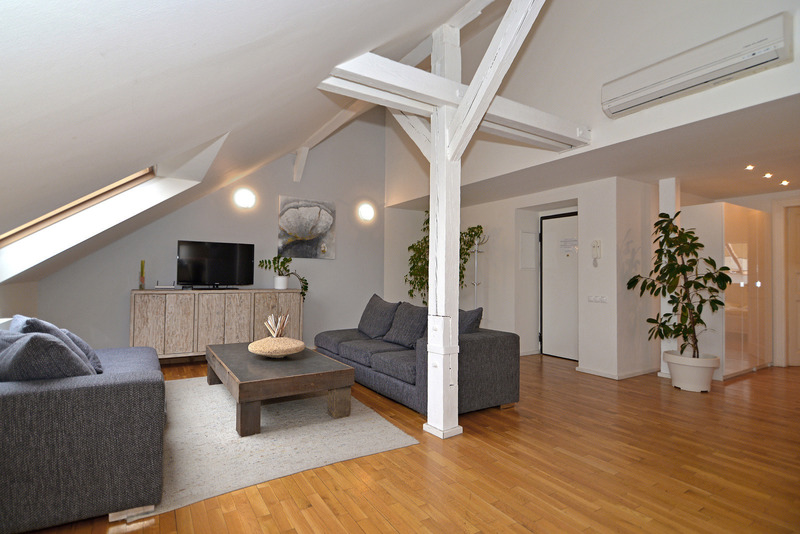 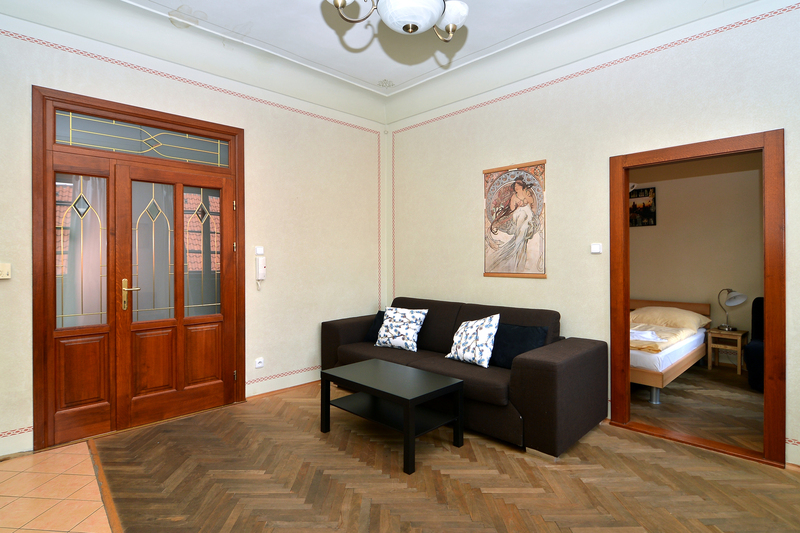 A luxurious apartment house on the Royal Route, in Karlova Street between the Old Town Square and the Charles Bridge offers its services – this is an ideal place to spend holidays in Prague with your family or friends. You can choose a one-bedroom apartment, furnished with a double bed and a closet. In the living room, a fold out sofa for 2 more people is available. 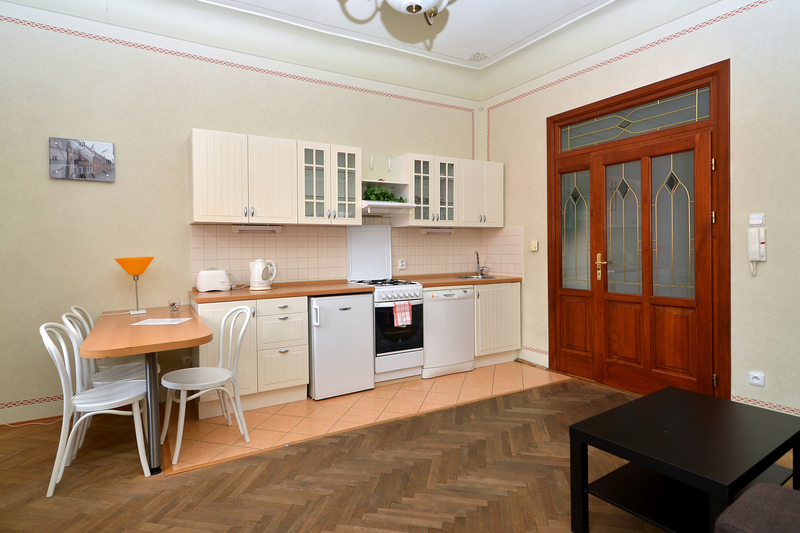 The kitchenette includes a table and is fully furnished with dishes; it has a cooking plate, oven and dishwasher. The bathroom has a shower cabinet and toilet.